Willow Fire Lodge is located a few minutes outside of Eureka, Montana on 60 acres. Homesteaded in 1899 by Willam and Lucy West. Willow Fire Ranch offers a rustic, relaxed, homelike lodge that serves as a comfortable base for sightseeing, photography and day-trips to beautiful Glacier National Park, Lake Koocanusa, Flathead Lake and the restored 1890s town of Fort Steele, British Columbia and hundreds of other activities and sights in our area. 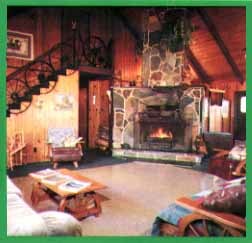 The lodge can accommodate up to 20 people. There are 5 bedrooms, 3 bathrooms, a large room with several beds, and a complete kitchen available for usage. We also have a hot tub. The lodge works well for retreats, family reunions, hunting, as well as comfortable accommodation for travellers. We serve breakfast, for groups we can provide a full fare of meals. We are 60 miles north of Kalispell which has an international airport. The drive up is beautiful!